WAREHOUSE FIND! LIMITED STOCK! Christa P’ffgen aka Nico has been a femme fatale extraordinaire, a woman always searching for and always running from something. She began her career as a model and actress, but soon got addicted to music and all kinds of unhealthy relievers for her spiritual pain, which in the end caused a bad health and helped to generate the circumstances for her untimely death at the age of 50 in 1988. A few months prior to her passing due to a bicycle accident on the Spanish isle Ibiza, she performed her last show with mostly new and unheard tracks, plus one classic tune from her proto-gothic album ‘The end’ (originally released in 1974). If you are familiar with her avantgarde type music you may guess what awaits you here but I think I should explain it to all those who have never heard of Nico before. She had one of the most captivating and outstanding voices in the whole music scene during her active years, with an utterly dark and manic expression even while performing her vocals absolutely flawless. Besides her unique voice, Nico also performed as a supermodel, which flatened her path to the hearts and music of several well known artists from that time, like Andy Warhol, Brian Jones, Bob Dylan, Tim Hardin, Leonard Cohen, Jackson Browne, Jimi Hendrix, Danny Fields, Iggy Pop and Alain Delon. Andy Warhol connected Nico to Lou Reed, who’s band THE VELVET UNDERGOUND she joined for the first album as a singer on Warhol’s wish. Her later backing band THE FACTION created a thick carpet of pulsating melodies and rhythms with a spacey feel and a morbid atmosphere. Peter Murphy of BAUHAUS once called Nico’s albums ‘The marble index’ (1968) and ‘The end’ (1974) to be the first ever true GOTHIC style records and he was right. Even twenty years after her first records Nico still had this gloomy but majestic charme and the older she got, the better and more intense her music became. 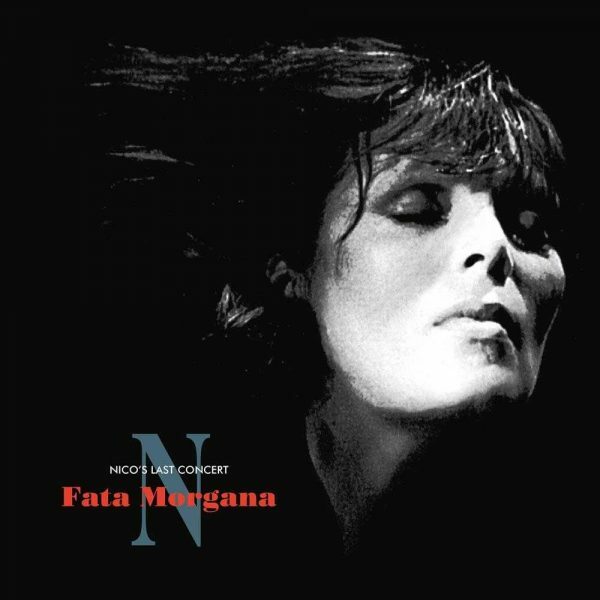 With these accessible but still mind twisting songs on ‘Nico’s last concert: Fata Morgana’ we get a rough idea where she wanted to go. All in all this is one of those cult albums from the 80s dark psychedelic music scene, which certainly deserves to be heard by current generations for it easily stands the test of time. Just phreakin awesome.